IN 1997, the devaluation of the Thai baht marked the start of a crisis that decimated many Asian economies. By the end of 1998, Asean-5’s (Malaysia, Singapore, Thailand, Indonesia and the Philippines) gross domestic product was US$230 billion lower, setting the Asean economy back to 1992 levels. Today, it has been more than 20 years since we last saw a systemic crisis in Asia. However, growing risks in Asia and abroad are starting to raise serious concerns. First, after a decade of low interest rates in the advanced economies after the 2008 financial crisis, global monetary conditions have tightened greatly and will continue to become less accommodative in the medium term. In its latest statement, the US Federal Reserve reaffirmed its intention to continue hiking interest rates, while the European Central Bank (ECB) is already winding down its asset purchase programme. As global rates edge higher, outflows from emerging market economies would intensify along with depreciationary pressures on their currencies. This raises inflation and would likely compel local central banks to either hike domestic interest rates or drain foreign reserves to support their currencies. This risks would further tighten local monetary conditions and dampen economic activity. The strengthening US dollar also increases the repayment burden of dollar-denominated debt. A recent paper by Braunning and Ivashina documented that 80 per cent of cross-border loans to emerging markets are in US dollars. Further, they find that US monetary tightening depresses the availability of credit in the local economies and shrinks infrastructure financing by global banks. Indeed, we are already seeing “mini” crises unfolding in emerging economies like Turkey, Argentina and Pakistan. 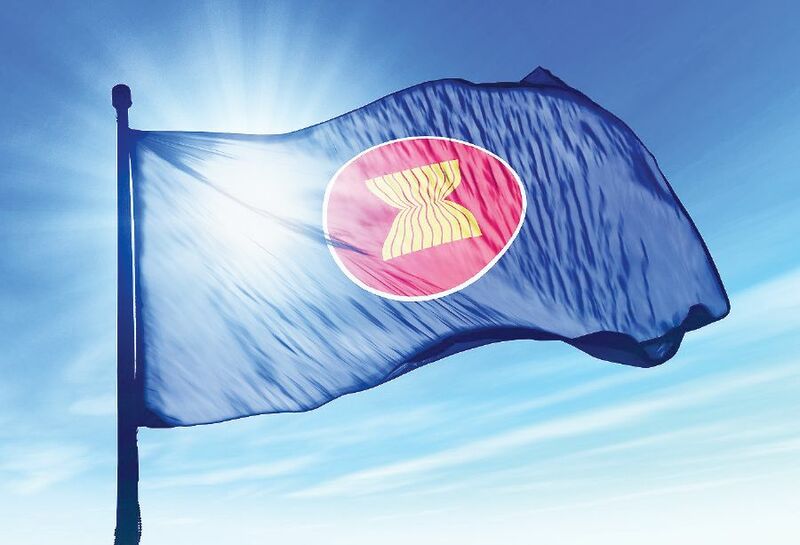 The Asean economies have proven resilient so far, but stresses are mounting. Since the start of the year, Indonesia and the Philippines — the only Asean-5 economies with current account deficits — have seen their currencies plummet against the US dollar. In response, both countries’ central banks have had to hike interest rates aggressively whilst bleeding a collective US$16 billion in foreign exchange reserves in a matter of months — just about the size of the entire economy of Laos. Second, the trade tensions show little signs of abating. The US is seeking to increase tariffs on some US$200 billion worth of Chinese goods, while the upcoming US-China talks on the sidelines of the G20 meeting are likely to be fruitless. Certainly, the trade tensions may benefit specific intermediate goods industries in some Asean member states, especially in Malaysia and Vietnam. But overall, any decline in global trade will be a net negative for the Asean economy. This is because Asean econo-mies are generally trade-reliant: total trade makes up 86 per cent of Asean-5’s GDP, compared with the world average of 44 per cent. Moreover, Asean economies, particularly Thailand and Malaysia, have dominant manufacturing sectors that have become heavily integrated in global supply chains over the past decade. Third, the Asean economy as a whole has become deeply linked to the Chinese economy. China is both the top buyer of Asean’s exports and its largest source of tourist arrivals. As such, the current slowdown in China is cause for concern. Indeed, measures of factory activity have deteriorated, while latest GDP data indicated that China’s economic growth has slowed amid the ongoing trade tensions as well as the government’s efforts to reduce debt dependence domestically. Of course, much has changed in the 20 years since the Asian Financial Crisis. The good news is that Asean has become more resilient as a whole. Current account balances overall are healthier today than in the past — and despite recent drawdowns in Indonesia and the Philippines, Asean-5 economies have amassed a whopping US$655 billion in additional foreign reserves since 1997. External debt is also lower today for every Asean-5 economy except for Malaysia. Maybe more importantly, major Asean currencies are no longer pegged to the US dollar, which allows for more gradual adjustments spread out over longer periods of time. But there have also been other more troubling changes. For one, the situation outside of Asean is hardly benign: global debt has almost doubled since 2007 while cross-border financial claims have recovered to pre-2008 crisis levels. Strained global alliances, a reduction in major world central banks’ room to manoeuvre, and tight government budgets will severely incapacitate the ability of the world’s major economies to respond to a crisis in an effective, coordinated manner like they did before. The hyper-globalisation wave over the last two decades has also made the Asean economy much more connected to the global trade and financial system than ever before. Additionally, emerging Asia’s share of world GDP is over three times larger today than in 1997, with the region now contributing over half of the world’s economic growth. In the aftermath of the Asian Financial Crisis, the global economy was left largely unscathed, despite the troubles in Asia. But if an Asian crisis happens again today, we may not be so lucky — an Asian crisis will almost certain become a global crisis. Calvin Cheng is a Researcher in the Economics, Trade and Regional Integration (ETRI) division. His primary research interests include economic growth and development, inequality and poverty, and labour market institutions. Calvin has also worked on policy design as well as the evaluation and improvement of cash transfer programs and other similar social assistance initiatives in Malaysia. He graduated from Monash University in Clayton with a degree in Economics and Econometrics. Prior to joining ISIS Malaysia, Calvin was an economics analyst with a private sector investment firm.